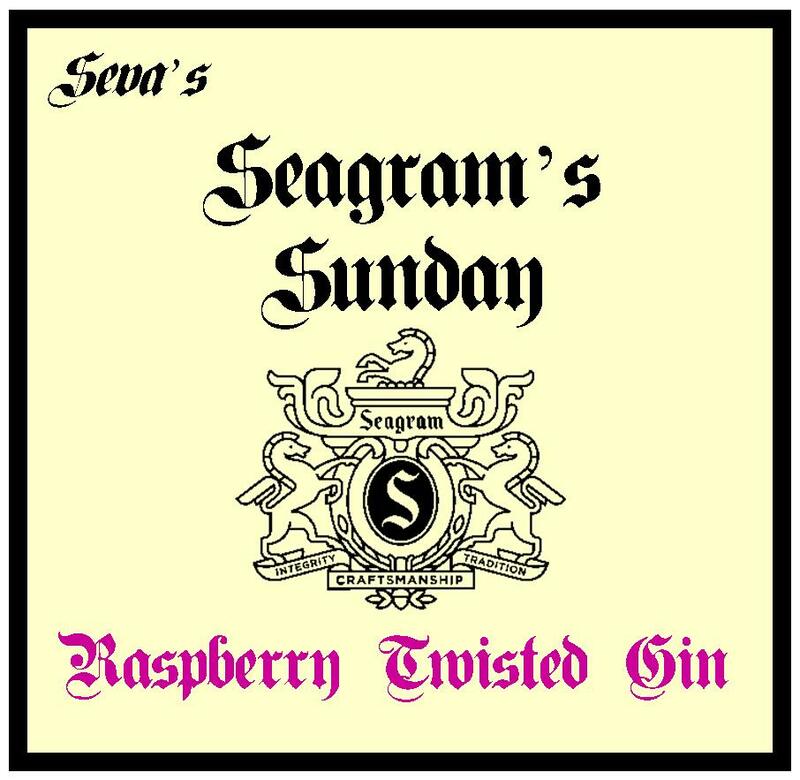 For the second edition of Seva’s Seagram’s Sunday, I shall feature another of their Twisted flavoured gins; perhaps an unlikely candidate, Raspberry. The results of the tasting were also slightly unlikely/unexpected. Historically, Raspberry Gin doesn’t seem to have made much of an impact. Recently, the Scottish Edinburgh Gin company brought out a Raspberry Gin using Perthshire Raspberries, although this was more of raspberry gin liqueur, somewhat akin to sloe gin. Nose: Minimal nose, but a hint of vanilla and raspberry jam. Taste: Quite smooth, but very sweet (like the middle of a raspberry jam/jelly doughnut). There were also hints of raspberry ripple ice-cream, white chocolate and the rose of turkish delight. All-in-all, rather confectionery. Jammy raspberry flavours come through strongly, along with a hint of vanilla. This isn’t a typical Gin & Tonic, but, once again, was very tasty. It also had a slightly bitter finish. This seemed to be an odd mix, being rather creamy for a Martini, but it wasn’t wholly unpleasant, especially if you fancy a raspberry-ripple Martini with a sweet, jammy, creamy finish. Quite nice. I never thought that I would like this, nor that it would work, but I do and it does. The gin brings an added creaminess to the drink, which works well with the raspberry and traditional Negroni flavours. The bitterness gradually grows and this was so tasty that Mrs. B (not a Campari fan) liked it. This also works well on the Negroni sorbet. This gin was a genuine surprise; I hadn’t expected much, but it is definitely my favourite of the current Seagram’s Twisted range. Of the cocktails that I tried, the Negroni was easily my favourite.